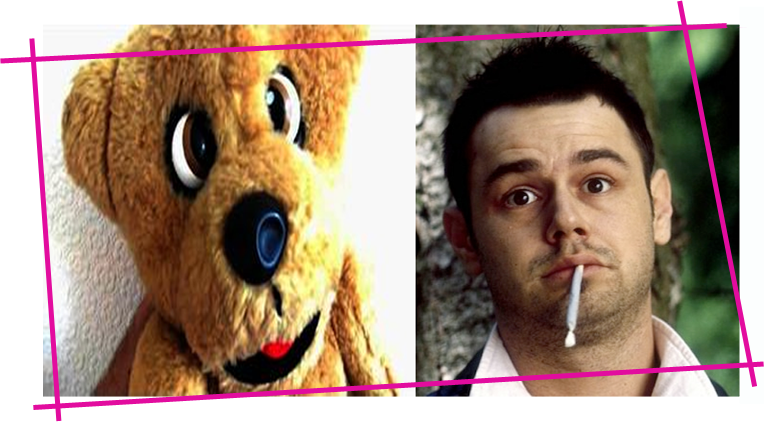 Danny Dyer is a man of many talents. 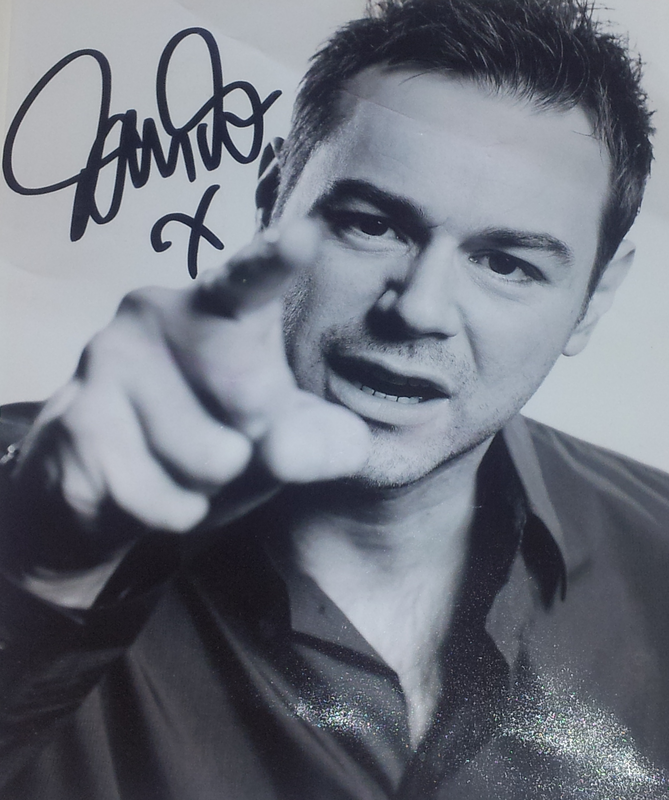 Film actor, stage star, TV presenter and well known Cockney Geezer, Dyer has appeared in countless films and TV shows and has an acting career spanning more than two decades. He even came close to proving the existence of aliens. Well, sort of. Despite the announcement that he is due to join the farcical crapfest that is EastEnders, Dyer’s big screen career continues, and his new film Vendetta is soon to be released. Even with a long career and work spanning multiple platforms, many people remain reluctant to accept Dyer as a serious actor and are quick to write him off as a one trick pony. That, my friends, stops today. As someone who on a whim one boring lonely day made a commitment to watch all of Mr Dyer’s films, I feel I am qualified to make a handy guide detailing the talented thespian’s best works for all you budding Dyer fanatics (you know, so you don’t have to sit through all the crap ones). And I am sure, just like me, you will become a Dyer convert, writing to him personally in order to receive a signed photograph of his face which you can proudly display on the wall of your student flat. In a bid to show that all actors have a mixture of good and bad films in their repertoire, here is a list of the five best Danny Dyer films. Just don’t watch Run For Your Wife. Seriously, don’t do it to yourself. In one of his earliest films and clearly prior to his typecast ‘hardman’ roles, Danny plays ‘Borstal Boy’ Charlie Milwall in a film based on the book of the same name. 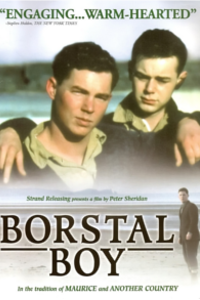 Set in a young offender’s institution in Ireland during WWII, the film explores themes of homosexuality and prejudice. While Dyer is not the main character here, he still has plenty of screen time. His character is likable, he has depth and he is unlike any other character Dyer has played. The film is not and it has a fairly watchable, deep plot; in other words, you’ll forget you are watching a Danny Dyer film. The acting is from the whole cast is impressive and it really is a film worth watching, if only just for the scene in which Dyer dons a dress and gives us his best Gwendolen from Wilde’s The Importance of Being Earnest. Surely, that alone is worth 90 minutes of your time. One of many horror/thrillers in which Dyer has starred, Doghouse tells the story of a group of men who go on a trip to the countryside only to find a town rife with female zombies. Whilst the film does mix gore with British, ‘blokey’ humour, it is clearly no Shaun of the Dead. Dyer plays Neil in a dim Cockney guy role that seems familiar yet serves the film well. Alongside Dyer are other big British names such as Stephen Graham, Noel Clarke and Lee Ingleby. The plot is fairly straightforward and nothing too complex but it is quite enjoyable. Far-fetched as it might be, there is good fun to be had watching this group of clumsy men fight off tarty zombies, resorting to using remote control cars to protect themselves from being eaten. Plenty of violence, gore and explosions ensure the film action packed, but it is all done with a touch of humour and the film clearly doesn’t take itself too seriously. Honestly quite entertaining, Doghouse is a pretty fun watch. Okay, so this is Dyer in a film about, well … freerunning. By far the worst quality film on the list, Freerunner is the story of some young American guys who enjoy running up and jumping across tall buildings. The first half of the film is incredibly dull and features terrible acting from most of the cast. A typical horrible film about ‘hip’ teens dramatically changes format when evil slimeball Mr. Frank, played by Dyer, is introduced. In some form of Battle Royale twist, the freerunners are made to, quite literally, run for their lives; they are fitted with exploding electronic devices that will kill them if they do not win the race. Whilst usually playing the anti-hero, Dyer here plays an outright bad guy, but the character of Mr. Frank is so one-dimensionally evil that the role is pretty limited. He also doesn’t have that much screen time. Annoyingly I found myself enjoying the final half of the film and it made a change to watch Dyer in an unfamiliar role in an American setting. Then again, it is possible that I watched Freerunner in between two worse Dyer films (and believe me, there are worse than this, much much worse) and thus it surfaces as The Godfather of Danny Dyer films in my memory. Have you ever counted how many time you thought “I wish there was a film produced by footballers Ashley Cole and Rio Ferdinand in which Danny Dyer and Tamer Hassan own a ski merchandise shop”? Well dream no longer, my friends, such a film does exist. It also stars 50 Cent and Omid Djalili. No, I’m not making this up. Dead Man Running details the story of Nick (Tamer Hassan) and his best friend Bing (Danny Dyer) who must go on a mission to raise £100,000 to pay off loanshark 50 Cent in order to stop his henchmen shooting Nick’s mother. The film is fast paced and enjoyable as the duo only have 24 hours to raise the money. Humour runs throughout the film and the Dyer-Hassan partnership works well in creating likeable, fun characters; the film has some genuinely funny moments. It isn’t high-brow entertainment, but it is certainly watchable. Our number one is comedy horror in which Dyer plays Steve, a member of a group sent on a corporate teambuilding exercise in the remote forests of Hungary. Things rapidly take a turn for the worst and the group end up fighting for their lives as they are picked off one-by-one by sinister murderers. Dyer plays a loveable stoner, the dim guy turned hero; his character is strong and adds fun to the plot. Although at times pretty creepy, the film never loses its humour and is really quite enjoyable. 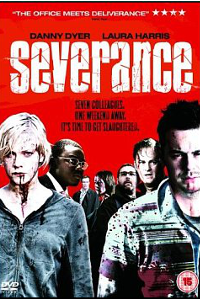 Severance is full of strong characters and it has a great cast including Toby Stephens and Tim McInnerny. It works well as both a comedy and a horror film, and unlike many other films Dyer has been involved in, the overall production is quite impressive. Even from the opening and title sequences you can tell that it is a much higher quality film. The only Dyer film I have ever watched more than once and one of the few that I could genuinely recommend.